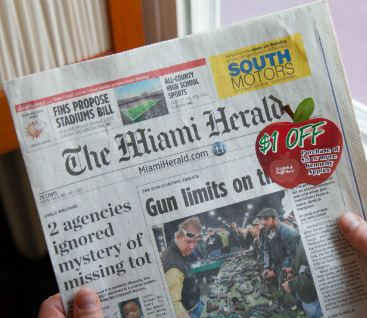 Special Shape Front-Page Advertising offers advertisers the ability to combine the impact of front-page advertising with a unique special shape. The result is increased awareness, attention and results. Think of utilizing special shapes for a unique promotion or take advantage of that big upcoming sporting event.